May 25, 2017. Schaslyve. Knyazha Arena. 23oC. The opponents approached their next face-to-face encounter without competition intrigue in the fight for the top spot: the Kyiv side claimed the title early thanks to a victory over Zorya in the previous round. Nevertheless, the showdown between the two top sides was crucial. 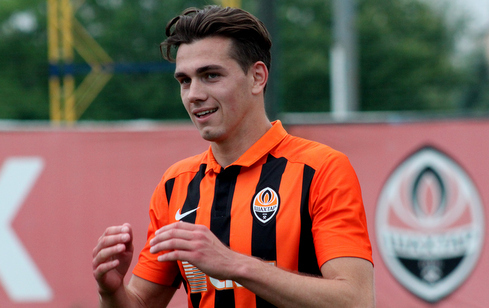 Shakhtar head coach Valeriy Kryventsov entrusted a place in the gate to Yevhen Grytsenko. 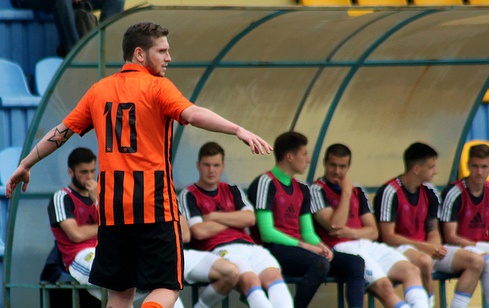 In addition, the skipper Oleksandr Pikhalionok came back after the suspension. 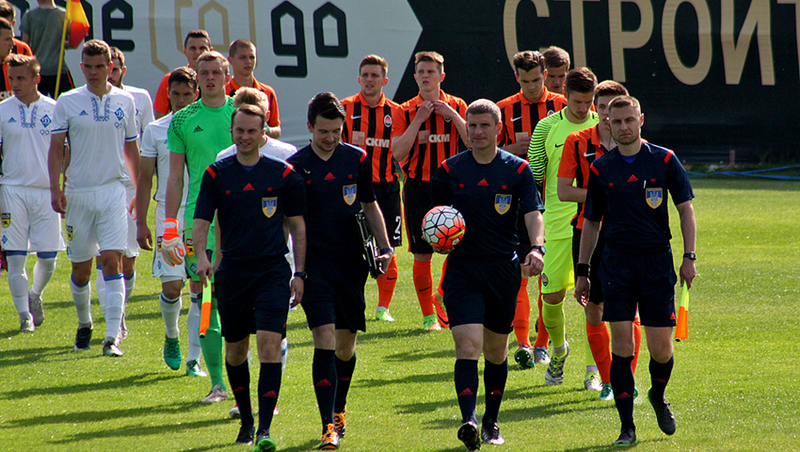 The early stages of the match saw the evenly balanced game, before Shakhtar seized the initiative soon. The Donetsk side controlled the ball, with the White-and-Blues trying to put high pressure. The active performance on the flanks played an important role, especially on the right flank, with Ihor Kiryukhantsev regularly supporting Giorgi Arabidze from the deep. It bore fruit in the 24th minute, when the Georgian was fouled by Kazakov. Arabidze stepped up to perform a brilliant free kick, sending a left footer into the near corner to register his 15th goal of the season – 1-0. Soon Roman Yalovenko could do the needful, but Volodymyr Makhankov denied his effort. The Donetsk team used free spaces and in the 34th minute notched a second goal: Yurii Hlushchuk sent his team on the attack, before Arabidze got away from two opponents to fire a right footer only to see Dynamo goalkeeper saving his team again. Before the whistle sent the teams into the break, the Kyiv-based outfit waited until a chance came their way: following a pass from Lukyanchuk, Schebetun lost two central defensive markers and fired a well-placed shot into the far corner to make it 1-1. The teams actively started the second half, made challenges in all parts of the pitch and did without shots on goal for some time. Gradually, the mentors began to rebuild the line-ups with replacements. On the 68th minute, Viktor Kornienko's supported the attack on the left flank and played a cross to Yalovenko and Hlushchuk, but none of them managed to tap in. A little bit later, Yurii made a breakthrough from the central circle and sent a low belter outside the penalty area, with Makhankov being up to the task. Shakhtar looked more threatening, and in the 83rd minute, he achieved his goal. The fresh Denys Arendaruk earned a corner and sent it himself at the goalie’s near corner, from where Taras Kacharaba sliced his header into the top corner – 2-1. This goal put a seal on a win for the Orange-and-Blacks over Dynamo. On May 30, Valeriy Kryventsov's lads will finish the season with the 32nd round fixture versus Karpaty away. - A victory was important for us today, even though it did not change anything in the standings. However, this was a matter of principle, as we always have motivation vs such competitors as Dynamo. We aimed for success only, prepared in a very serious way both theoretically and tactically, produced an organized performance throughout the entire match, fought and emerged victorious. It's nice to have scored a goal, especially, in a match versus the main competitors. In that episode, after a flank pass came from Denys Arendaruk, Danylo Ihnatenko and I swapped positions, then I emerged at the near post and fired home. We still have one fixture against Karpaty ahead of us. In Lviv, they must also show the class and grab a win to finish the league campaign on a positive note. - Matches vs Dynamo always turn out to be special, you do not have to search for additional motivation. You come out onto the pitch and realize that you have to fight in every episode. There was a task to win this clash, and we have made it. We tried throughout the entire week, worked at the training sessions and theoretical classes and claimed this result. We used a slightly different tactics and operated in a freer fashion, because the result did not weigh on us. We were just sure of our success. We came out and defeated the opponents, as planned. Victory is ours! Emotions just go off scale. Although I was the youngest player on the field today, I did not particularly feel it. I made not a few apps in the starting line-up, I felt the level and do not pay attention to disparity of years. I come out, do my job, like everyone else. 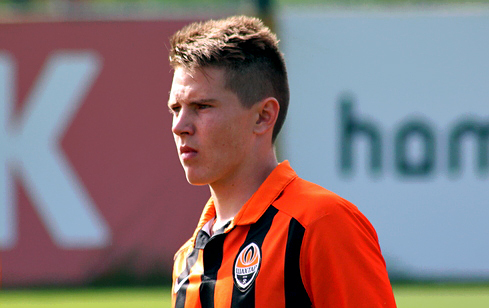 Of course, a year ago I could not imagine that I would be a Shakhtar U21 regular, but that was my goal, and I achieved it. I am grateful to the coaching staff for their trust. I try to do everything that is required, and I am succeeding bit by bit. Now I am going to set the next goal and move towards it.